Oh my counter, I will miss you! This loooooong counter is always home to some project in the works and it's THE perfect area to set up a buffet when we've entertained here. Although the builders grade cabinets that we never got around to painting how I wanted to... see ya later alligator! Dear Cookie Cutter Drawer, I will miss you! Under that loooong counter is a whole lotta drawers and cupboards. Seriously, how lucky am I to have space for a cookie cutter drawer?! I also have a chocolate molds drawer, 2 cloth napkins/placemat drawers, a drawer solely for bibs/burb cloths and other weird things that get their very own drawer. Unless you have a "tape" drawer too... then it's not really so weird. No Lemonades in San Diego. A little Girl Scout cookie stand was set up on the corner outside of an adorable little house just down the street from where we'll be living. 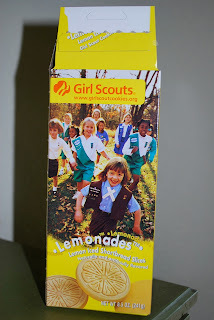 Sam and I both adore Lemonades so we stopped for a box. The girls were so sweet, but their mom told us that they had Lemon Creme somethings instead. 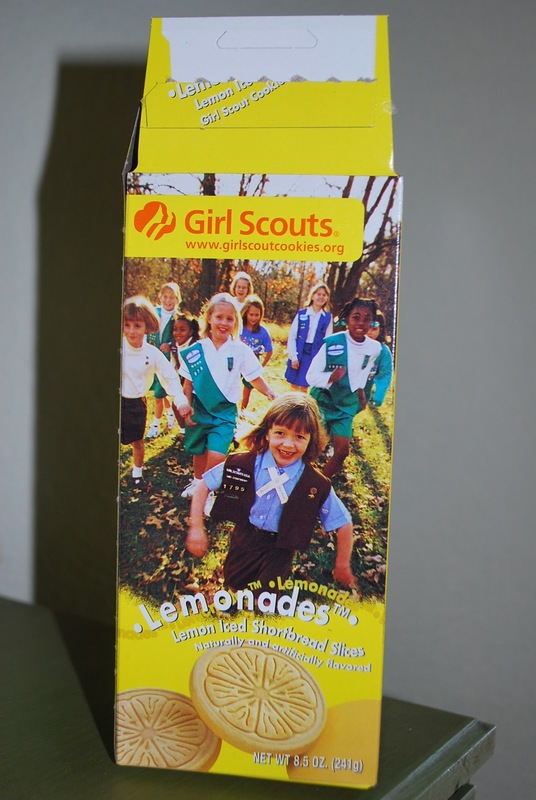 They were okay, but I know my cookies and they weren't Lemonades. I'll probably post a part three of "What I'll miss" coming soon, then I'm moving on to "What I can't wait for!" which will most likely include a whole lotta FOOD... and shopping... and fun things to do with kids. All of which was somewhat lacking here... of course we do have food here, but really nothing quite compares to a Beef 'N Bun chocolate and pb shake. Oh yeah, I'm comin' home! Cant wait to have you home! !